Swedrive have been manufacturing worm gearboxes and screw jacks since 1973. Please call us for the full range of Swedrive industrial products. 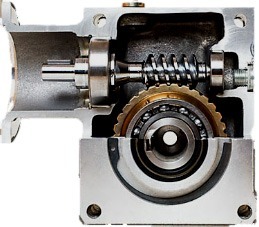 The Swedrive Gearbox is a special design of drive that makes it particularly strong and ensures problem free operations even under the most severe conditions. All units are available in various mountings. Single or Double output shaft Hollow output Foot mounted Under or over driven. A separate flange is also available for all units. With the exception of the DF33 and DV35, all units are driven by a curved tooth coupling or flexible coupling. 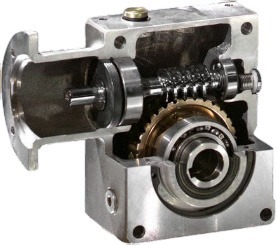 This enables the Swedrive worm gear to be driven by various types of motors, with or without brakes. The units can be supplied with or without a motor. All units are available with IEC input flanges both B14 and B5. Swedrive worm and wheel sets are also available in 8 sizes with centre distances of 33mm up to 125mm.